Fatigue is a disabling symptom of fibromyalgia – but I have benefited from several supplements which improve my energy. This article explains the difference between adrenal and mitochondrial energy supplements, how they work and what the research says. This post contains affiliate links, which help support this blog. I only link to products that I use and like – my opinion has been in no way influenced by the makers of the products I recommend. My Christmas present one year was an evil cold. I had been lucky the past several years not to encounter any viruses. After reading about the negative experiences of other bloggers with FM or CFS who have caught a flu or a cold, I was nervous about the potential consequences. My worries were realized when, after my other cold symptoms cleared up, the extra fatigue didn’t disappear too. 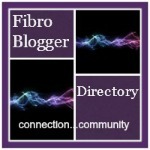 My fibro fog and afternoon fatigue were the worst I had ever experienced! I spent the months after trying to figure out how to recover my energy to my baseline level. Now, even 11 hours of sleep was unrefreshing. I had to drop my classes because of afternoon crashing. The strangest symptom was visual over-stimulation – for example, difficulty making sense of store displays during an energy crash. My acupuncturist explained my post-viral fatigue as a failure of my body to turn off the sickness response. In other words, your body makes you feel tired and achey when you get sick to induce rest, so energy can be redirected to your immune system. Usually that response stops when you get better, but sometimes your body fails to ‘flip the switch’ from sick mode to healthy mode. In the last few years I have discovered that my energy is impacted by two primary factors – adrenal function and mitochondrial function. The challenge is to figure out how to best support energy production in your body, both at the cellular level (mitochondrial) and organ system level (circadian rhythm and/or adrenal fatigue). In a previous post, I wrote about the results of my adrenal function test. The adrenal gland regulates the production of several critical hormones, including cortisol and DHEA. Cortisol, also known as the ‘stress hormone’ is produced by the adrenal glands (glands that sit on top of the kidneys). Cortisol regulates many of the body’s responses to stress, including blood sugar levels, metabolism, immune responses, blood pressure, and central nervous system activation. Although high levels of cortisol are released, alongside adrenaline, to initiate the ‘fight or flight’ response to stressful situations, it also plays a role in day-to -day functioning. Cortisol is released in the morning to help you become alert and focused. It is supposed to decline gradually during the day so that by evening you feel sleepy and ready for bed. Proponents of the theory of ‘adrenal fatigue’ argue that initially, in stressful circumstances, adrenal glands overproduce cortisol. But if a high-stress situation persists over time, the fatigued glands begin to under-produce cortisol, resulting in low daytime levels and worsening daytime fatigue (Life Extension: Stress Management). The results from an adrenal function test show that my cortisol curve is all off. I start the morning at the low end of the normal range, but then my cortisol slumps significantly by mid-afternoon, and finally increases to the high end of the normal range by bedtime. These results explain my mid-afternoon crash and energetic evenings (not to mention insomnia). According to my naturopath, this pattern of low daytime cortisol and high nighttime cortisol is characteristic of a disordered circadian rhythm in some people with fibromyalgia. So how can you improve your overall energy by supporting your adrenal function? Vitamin C and B5 (Pantothenic Acid): Both of these vitamins help promote adrenal function. They are inexpensive and provide a good foundation for re-balancing cortisol production. Vitamin B5 is a lesser known but still important member of the B vitamin family and it is used for energy production in the body. According to Dr. Teitelbaum, “your body’s highest levels of vitamin C are found in the adrenal glands and brain tissues, and the urinary excretion of vitamin C is increased during stress” (From Fatigued to Fantastic p. 90). Vit C formulations can be more or less potent and come with or without added antioxidants. I like Natural Factors Extra C + Bioflavonoids. Licorice Root Extract: In order to try to sustain cortisol throughout the afternoon to prevent the usual crash, I added licorice tincture on really tired days. It helps slow the breakdown of cortisol in the body, so whatever you do produce stays around longer (Life Extension: Stress Management). (Licorice is not for people with high blood pressure, so please check with a health care provider to see if it is appropriate for you and do your research first). I prefer to use a liquid extracts/tincture because I can tailor the dose – I found the average capsule dose made me jittery but with a liquid I can take just a few drops. Dr. Teitelbaum recommends the equivalent of 100 to 150 mg daily. Time Release Melatonin: In order to improve my circadian rhythm, I added 5mg of sustained / time release melatonin at night. Melatonin reduces cortisol, so it helps me with my elevated night-time levels (Life Extension: Stress Management). This stuff is quite effective! I have been sleeping through the night more regularly since I added this to my night time pill regimen. (I found regular melatonin did not have this effect). Rhodiola: finally, I am also taking Rhodiola to support my nerve and endocrine system functions. Rhodiola is considered to be an adaptogen, and studies demonstrate that taking this supplement improves stress tolerance by “influencing key brain chemicals, such as serotonin and norepinephrine, and natural feel-good opioids such as beta-endorphins” (Life Extension Magazine: Rhodiola). Rhodiola helps to promote mental focus and energy – key for those of us with fibro fog! Secondly, mitochondrial function is a critical part of increasing energy in fibromyalgia. Mitochondria are the power plants of our cells. Studies suggest the energy factories may be running a bit low in FM. Muscle biopsies have found patterns of mitochondrial dysfunction (abnormal mitochondria, mitochondrial defects and muscle fiber abnormalities) similar to those typically found in mitochondrial disorders. Some skin biopsies have shown patterns of neurogenic inflammation and oxidative stress – two factors that negatively impact the mitochondria. Peripheral blood cells have demonstrated CoQ10 deficiency, mitochondrial dysfunction, oxidative stress and mitochondrial degradation (Health Rising: Is FM a Mitohondrial Disorder?). I’m trying to take a combination of supplements that are factors used by mitochondria in the production of energy. D-ribose: D-ribose is a sugar produced in the body and taken to alleviate fatigue and pain in fibromyalgia and chronic fatigue syndrome. Dr. Teitelbaum contends that CFS/FMS is caused by “energy crisis” in the body, leading to a cascade of different symptoms like fatigue, pain, sleep disturbance, among others. One root cause of the energy problem, he argues, is that the ability of the mitochondria in your cells to generate energy is suppressed. Mitochondria produce the energy, called ATP, used by your cells to carry out all their functions. D-ribose is essential to the production of ATP. Therefore, taking additional D-ribose should help to support mitochondrial function and improve energy output in fatigued patients. Dr. Teitelbaum has authored a few pilot studies that have demonstrated some promising results. The most recent study was an open-label study published in 2012. Significant improvements were found; specifically a 61.3% increase in energy, 37% increase in general well-being, 29% improvement in sleep, 30% improvement in mental clarity, 15.6% decrease in pain (Teitelbaum: From Fatigued to Fantastic). CoQ10, a powerful antioxidant, is the catalyst that enables mitochondria to produce 95% of all cellular energy (in the form of the compound ATP). A Spanish research team has conducted several studies that demonstrate a CoQ10 deficiency in people with fibromyalgia, leading to mitochondrial dysfunction and increased oxidative stress. These researchers have also found that supplementing with CoQ10 improves clinical symptoms of fibromyalgia like pain, depression and fatigue (Phoenix Rising: CoQ10). Acetyl-L-Carnitine, is an amino acid produced in the body from l-carnitine which is used to manufacture fuel for energy via mitochondria. This nutrient is also used in bodily processes that regulate muscle movement, as well as heart and brain function. People with fibromyalgia have been found to have low levels of carnitine. Supplementing with acetyl l-carnitine has been found in a double-blind placebo-controlled study to improve pain levels, depression and quality of life among people living with fibromyalgia (Prohealth: L-Carnitine). Since starting this combination of adrenal and mitochondrial support, my afternoon crashing has evened out. My fatigue does not bottom out in the afternoon (less brain fog and no visual over-stimulation). I finally regained my pre-viral energy envelope. I am sharing all of this in the hope it gives some direction to others finding themselves in a similar situation! Take care of yourselves, dear readers! Good luck and I hope it continues to improve for you. Unfortunately I’m so sensitive to almost all supplements and medicines that I’m struggling to find anything that helps me with energy levels. Yes I do use acupuncture which helps a bit with pain levels but not so much energy levels. I went to a new acupuncturist for this post-cold fatigue and she seemed hopeful about helping my energy but I’ll have to wait and see! It’s all so individual! I found 5 mg d-ribose and b-vitamins to have the least side effects, for me.